The game of Pente is exactly the same as gomoku, except the following : in order to win, a player can either align 5 pieces in a row, as in the game of gomoku, OR eat 10 pieces from the opponent . 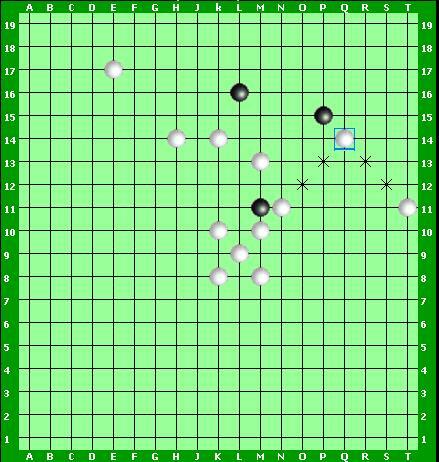 on the pic hereunder, white eats 4 pieces with the move q14. Actually, 2 sandwich captures are made in the same time. White eats the black pieces p13,o12 from one side, and r13, s12 on the other side.